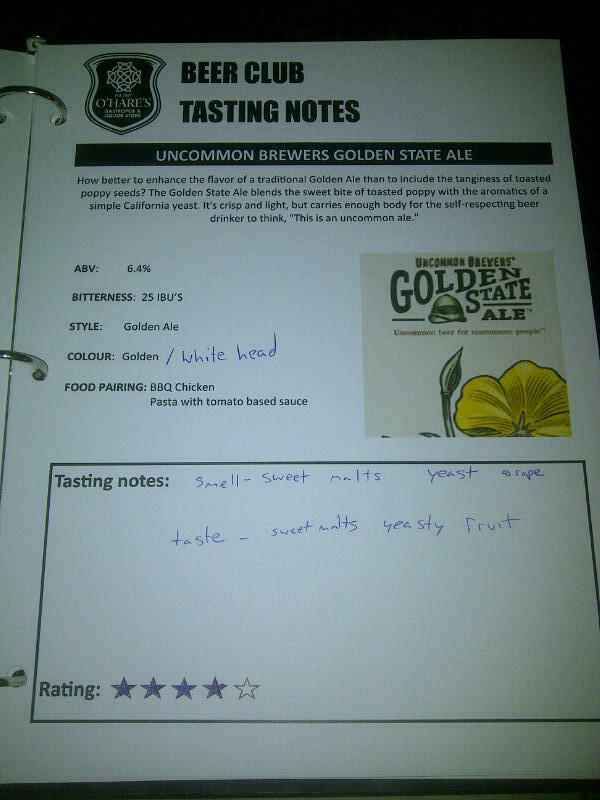 From Santa Cruz California’s Uncommon Brewers comes their “Golden State Ale”. This ale is brewed with poppie seeds although they are not all that noticeable. The beer pours a golden colour with a white head. 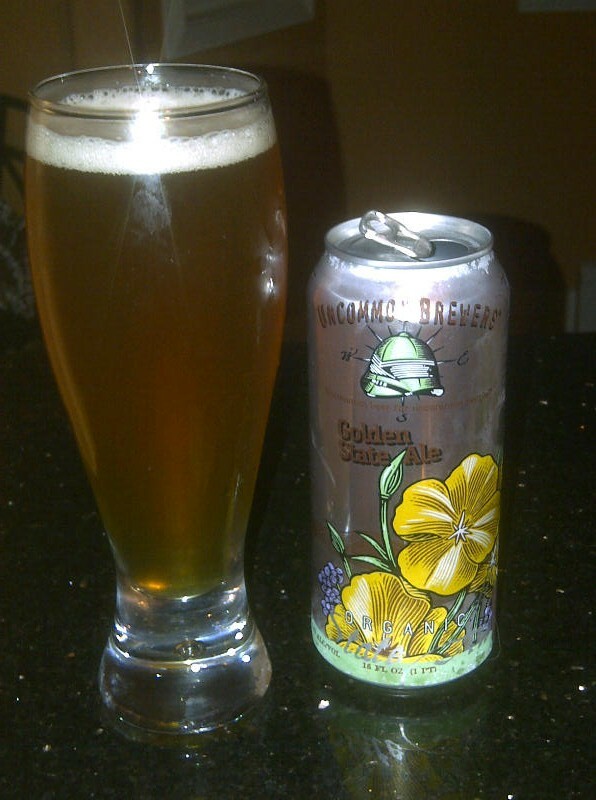 The aroma of this beer is of pale malts, fruits like grape, honey and a Belgian style yeast. The flavour of the beer is of pale malts, honey, fruits such as grapes, spices, pepper and a Belgian yeast. The alcohol content of the beer is 6.4% with an IBU of 25. This is quite the uncommon ale but it is quite a nice beer none the less! Food Pairing according to O’hare’s Beer Club notes are as follows: BBQ Chikcen, Pasta with tomato basted sauce. This entry was posted in Ale and tagged belgian style, belgian yeast, california, fruit, grape, honey, pale malts, pepper, santa cruz, spices.